Back in May of this year we were contacted by Heather MeCormick, Managing Editor of Textbook Projects at Bard Graduate Center in New York City. She and the editor, Pat Kirkham found our website about Liu Jipiao. 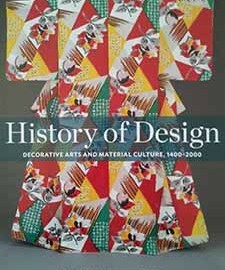 They were putting together a text book, History of Design – Decorative Arts and Material Culture, 1400-1900. I was really excited to hear from them! They asked us if for some photos of my grandfather’s work (which we had.) I had a really nice chat with Heather. Apparently she and Pat like to read our blog 🙂 I hope to visit Bard my next trip to East Coast. When I returned home from Thanksgiving there was a large package waiting for us at home. I brand new copy of the textbook. It’s a 600+ page, hardcover, beautiful, colorful book! The image of the postcard for the Paris Expo 1925 China Section is illustrated on page 484 with a description of Liu Jipiao’s work at the Paris Expo 1925 and the Westlake Expo in Hangzhou 1929.